Life is a journey. You will face numerous challenges here and there along the way but you must never give up. Unfortunately, some people become hopeless when life glares in their faces. Consequently, they end up experiencing low self-esteem and bruised confidence. Without motivation and self-confidence, it is difficult to grab golden opportunities that come your way by the horns. Luckily, starting a new adventure can help you discover the real you. 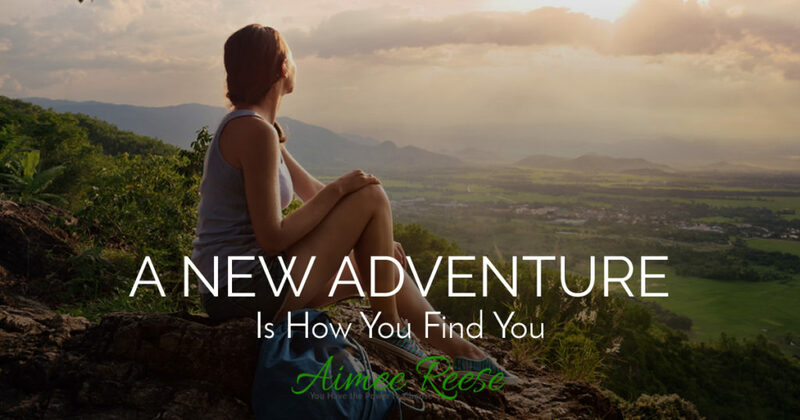 New adventures can be in form of taking new challenges such as reading, traveling, camping, and blogging among other things. Sometimes you have to try out new adventures to find who you really are. Taking a vacation can make all the difference for you in regard to achieving what you have always craved. Don’t hesitate to create your own new adventures to taste success in life. Sometimes new opportunities are just waiting around the corner and it is up to you to grab them real fast. To discover new life adventures you must be willing to do several things. For starters, you need to seek the life you want. New opportunities will not just fall on your feet. You need to get out there and figure it out for yourself. When seeking, it is wise to eliminate all doubts that may hinder you from finding yourself. Secondly; you must have the will to commit to your goals. You will encounter many challenges throughout your journey but unconditional commitment nothing is impossible. Thirdly, you must be willing to act on your ideas, goals, and dreams. It is sad that millions of people across the world grow old without fulfilling their goals. The good thing about starting new adventures is that it keeps you motivated and inspired to act on what you truly believe in effectively. You can achieve anything you have always dreamt of provided you are action-oriented. Taking action is the surest way of achieving great and adventurous things in life. Most of those living their dreams will tell you that it all started with new adventures with friends, colleagues or family. New adventures come with limitless opportunities for those who are not afraid to seek, commit, act and persevere. Discovering who you truly are is the only key to turning your dreams into reality, healthier relationships, abundant happiness, peace of mind and new golden opportunities. Don’t just sit there wondering what you are all about. Create your own adventures and you will surely find who you really are. Starting a new adventure will not only help you discover your abilities but also boost your confidence, self-esteem, motivation, focus, and productivity. Want to contact Aimee? fill your detail on the form below and Aimee will contact you shortly.